Cleveland, OH’s Cloud Nothings are gearing up for the release of their sophomore LP Attack on Memory, which is due to hit stores on January 24th via Carpark Records. The album was recorded by Steve Albini at his own Electrical Audio Studios this past summer. Check out Attack on Memory‘s lead single “No Future/No Past” via a widget below. We were able to catch the band’s set at the A.V. Fest in September, where they played a bunch of these new songs for the very first time. 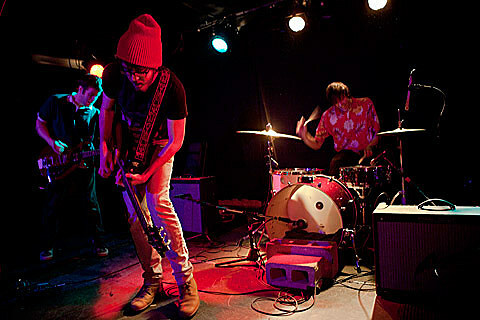 Cloud Nothings will return to Chicago to play Schubas on April 6th.